Getting in with the locals can go a long way to making a new place feel like home. You may need to embrace a new culture and customs, you may not have a common language, and sometimes you may even find yourself encountering whole new species! With Australia Day fast approaching on 26 January, here’s a quick guide to Oz, the destination for thousands of John Mason International customers every year, where failure to find respectful terms with the natives could leave you looking like a right galah! 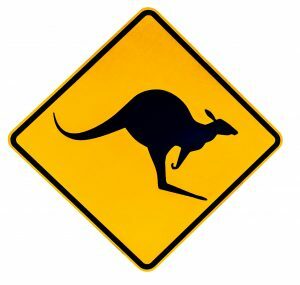 Let’s skip(py) straight to the world’s most famous marsupial, the kangaroo. With more kangas than people in Australia, it could pay to get on their good side. The best way to greet a kangaroo is submissively and head-on – from afar. Don’t exhibit any aggressive behaviour or try and stare it down and never challenge it to a boxing match. They can’t walk backwards, so if you find yourself behind one, slink quietly away. They can clear 8ft in one leap, so don’t take flight, as they’ll soon catch up with you! The koala is another Aussie icon, and a sociable beast – among its own. While the classic koala-hug photo was the classic souvenir from any trip to Australia back in the day, sadly, many territories how ban this behaviour, so don’t go in for a hug without permission. They tend stick to their home range and get disorientated very easily – so don’t bother asking one for directions! 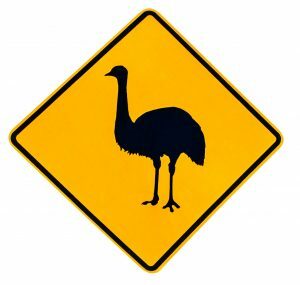 Suspicious of Brits ever since Rod Hull brought his to the UK, Emu are still nervy of where you might put your arm! They are much more calm and friendly early morning and late afternoon, so these are the best times to ask for a favour. Make sure you stand to the side or behind them, as their kneecaps are on the back of their legs, which means they’ll give a hefty forward kick if you find you’re not getting along. If you come across a camel in the outback, try not to panic. Although not indigenous to Australia, there are about 1.2 million wild camels here. Originally imported to help with transportation and construction in the 19th century, they’re often exported back to the Middle East. So if you’re after a quick spot of tourism, they might be able to give you a lift! The dingo, Australia’s wild dog, has been on the island for 3,500 years, so they’re full of local knowledge. The population of pure dingo is waning due to inter-breeding with domestic dogs, so keep an eye on Fido unless you want some really wild pups. While Warner Bros’ Tasmanian devil is a chaotic but essentially misunderstood character, Australia’s real-life Tassies are notoriously grumpy, with a muscular jaw capable of giving one of the most powerful bites of any mammal. So it’s probably best to keep clear of these devils unless you’re armed with food. Snakes and spiders are in abundance in Australia, but as long as you gen up on which to stay clear of, you might be able to strike up a cordial relationship. There are about 140 snake species in Australia, 100 of which are venomous, but only two could kill, so don’t approach a Taipan or Australian Brown in a hurry. The giant huntsman spiders and alarmingly red bottomed, er, redbacks might give you a fright, but most species won’t bother, and could gladly point you in the direction of the nearest public convenience. 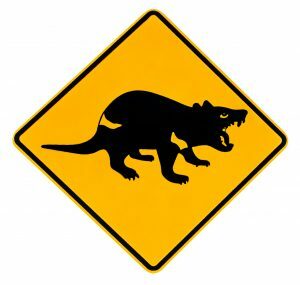 The croc, or “saltie” is a menacing beast, the most deadly of all Australia’s animals and fiercely territorial – so not the best animal to ask if you need somewhere to crash for the night. The name “Saltwater Crocodile” is misleading, as they breed and live just as happily in freshwater. So if you find yourself in the Northern Territory, stay vigilant when skinny-dipping. If you’re feeling a little parched, feel free to approach a cane toad – with caution. These formidable frogs are still raced in pubs across the country, so they may well be able to recommend a decent watering hole. Don’t introduce them to the family pet, though, as they contain a toxic venom which is released if bitten. They were introduced to Oz to control the beetle and rat population, which they still do – as long as they’re off the grog. 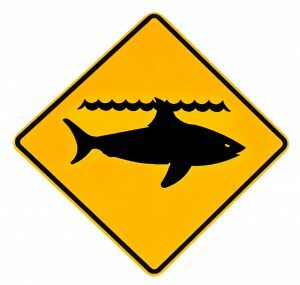 Stay out of the sea at dinner time unless you’re keen to get up close and personal with a Great White Shark. Actually, with beach protection netting and their preference for a higher blubber to bone ratio, you’ll never make a Great White’s top cuisine list. Our advice to save your bacon? Always swim with a delicious dolphin or Orca if you want to be on more favourable terms with Jaws. Australia’s birdlife could prove essential allies, but there are some to whom you should give a wide berth. The terrifying, yet beautiful Cassowary shares many qualities of the emu, but its sharp kick could prove deadly. Best not anger it, as it can move through water as fast as on land, so there’s no escape once you’ve ruffled its feathers. If you’re need a bite to eat but are a bit brassic, the Australian White Ibis is a legendary scavenger, so don’t invite this “bin chicken” around on bin day. You’ll see plenty of magpies out and about, but if they look a little different it’s because, like water down the plughole, their colours go the other way round! These intelligent birds can recognise human features, but their fierce temper means you won’t want to annoy them as they’d easily track you down for a grudge match. The Lyre bird could be great company, due to its talent for mimicry. I wouldn’t be quick to trust them, though, as they have an unmatched ability to call in koalas and dingoes, due to the accuracy of their impressions. They’ll throw machinery noises and car alarms, crying baby sounds, mobile ring tones and even the human voice – a whole entourage in one. Finally, the Kookaburra, a large kingfisher, is best known for its laugh. If you want to gain its trust, simply tell it a joke! Moving to Australia can be quite the culture shock, but remember, if you don’t like the look of something, you could always invest in a decent barbie and try and pass the fella off as Bushtucker! Happy Australia Day!